Diabetes is a disease which occurs by lack of insulin production or its inappropriate function. Patients with diabetes who take insulin suffer from high blood sugar and face unique challenges while travelling as their schedules for insulin dosage and blood sugar regulation change. Therefore they need to organize carefully how they have to travel, instruments they should take, the actions they must accomplish and vigilances they have to regard. Patients with diabetes have to prepare a list consisting of the type and dosage of medications they should take and tools them must carry which their doctor advice. Although there are general advices for all patients with diabetes, every single one needs specific observations according to his/her physic and health level. Patients with diabetes must gather information about the destination and draw a whole image of their trip in order to take the stress out as much as possible. Meanwhile, they should take all kinds of vaccinations according to their destination at least four weeks before travelling. Special diets and physical actions have to be considered as well and patients must match the taking of insulin with the destination time and also mind the direction of traveling (north, south, west or east). American Diabetes Association. Diagnosis and classification of diabetes mellitus. Diabetes Care. 2010;33(Supplement 1):S62-S69. Laffel, L. Ketone bodies: a review of physiology, pathophysiology and application of monitoring to diabetes. Diabetes/metabolism research and reviews. 1999;15(6):412-26. Centers for Disease Control and Prevention. "National diabetes statistics report: estimates of diabetes and its burden in the United States, 2014. "Atlanta, ga: US Department of Health and Human Services, 2014. Ugoccioni DM, Dear GD, Feinglos MN,.Blood glucose response to single and repetitive dives in insulin-requiring diabetics: a pre liminary report. Undersea Hyperbar Medicine. 1998;25(Supp l). Zuckerman, Jane N. "Recent developments: travel medicine." BMJ. 2002;325(7358):260. Dhatariya, K., et al. NHS Diabetes guideline for the perioperative management of the adult patient with diabetes. Diabetic Medicine. 2012;29(4):420-33. Hill David R, et al. The practice of travel medicine: guidelines by the Infectious Diseases Society of America." Clinical Infectious Diseases. 2006;43(12):1499-539. Robert S. Travel medicine—prevention based on epidemiological data." Transactions of the Royal Society of Tropical Medicine and Hygiene 85.2 (1991): 156-162. Kozarsky, Phyllis E., Jay S. Keystone. Body of knowledge for the practice of travel medicine. J Travel Med. 2002;9(2):112-5. Wieten, Rosanne W., TjallingLeenstra, Abraham Goorhuis, Michèle van Vugt, and Martin P. Grobusch. "Health risks of travelers with medical conditions—a retrospective analysis." Journal of travel medicine 19, no. 2 (2012): 104-110. Gill, G.V. and Redmond, S. (1993), Insulin Treatment, Time-zones and Air Travel: a Survey of Current Advice from British Diabetic Clinics. Diabetic Medicine, 10: 764–767. doi: 10.1111/j.1464-5491.1993.tb00161. Driessen SO, Cobelens FGJ, Ligthelm RJ. Travel-Related Morbidity in Travelers with Insulin-Dependent Diabetes Mellitus. J Travel Med. 1999;6:12-15. Dewey CM1, Riley WJ. Have diabetes, will travel. Postgrad Med. 1999;105(2):111-3. Chandran M, Edelman S. Have insulin, will fly: Diabetes management during air travel and time zone adjustment strategies. Clinical Diabetes. 2003;21(2):82-5. Bettes T, McKenas D. Medical advice for commercial air travelers. American family physician. 1999;60(3):801-8. Lumber T, Strainic P. Have insulin, will travel. Planning ahead will make traveling with insulin smooth sailing. Diabetes forecast. 2005;58(8):50-4. Bauduceau B, Mayaudon H, Ducorps M, Belmejdoub G, Thiolet C, Pellan M, et al. [Diabetes and travel]. Medecine tropicale: revue du Corps de sante colonial. 1996;57(4 Bis):446-8. Chełmińska K, Jaremin B. Travelling diabetics. Int Marit Health. 2002;53(1-4):67-76. Brubaker, Patricia L. Adventure Travel and Type 1 Diabetes the complicating effects of high altitude. Diabetes Care. 2005;28(10):2563-72. Izadi M, Fazel M, Karbasi-Afshar R, Saadat SH, Nasseri MH, Jonaidi-Jafari N, Ranjbar R, Kazemi-Saleh R. Glycemic control in type 2 diabetes mellitus prevents coronary arterial wall infection. ARYA Atherosclerosis. 10(3):141. Izadi M, Jazayeri SB. eds. Travel medicine: a country-to-country guide. Nova Science, 2013. Spira AM. Preparing the traveler. The Lancet. 2003;361(9366):1368-81. Burnett JC. Long‐and Short‐Haul Travel by Air: Issues for People with Diabetes on Insulin. J Travel Med. 2006;13(5):255-60. DAFNE Study Group. Training in flexible, intensive insulin management to enable dietary freedom in people with type 1 diabetes: dose adjustment for normal eating (DAFNE) randomized controlled trial. BMJ. 2002;325(7367):746. Pinsker JE, Becker E, Mahnke CB, Ching M, Larson NS, Roy D.. Extensive clinical experience: a simple guide to basal insulin adjustments for long-distance travel. J Diabetes Metab Disord. 2013 Dec 20;12(1):59. Mayfield J, Reiber G, Sanders L, Janisse D, Pogach L. Preventive foot care in diabetes. Diabetes Care. 2004;27:S63-4. American Diabetes Association. Standards of medical care in diabetes—2010. Diabetes Care. 2010;33(Supplement 1):S11-S61. Mayfield JA, Reiber GE, Sanders LJ, Janisse D, Pogach LM. Preventive foot care in people with diabetes. Diabetes care. 1998;21(12):2161. Jonaidi N, Safaee Firouzabadi M, Izadi M, Safaee Firouzabadi MS, Saburi A. Can procalcitonin be an accurate diagnostic marker for the classification of diabetic foot ulcers? Int J Endocrinology Metabolism. 2014;12(1). Kovats R, Shakoor Hajat S, Wilkinson P. Contrasting patterns of mortality and hospital admissions during hot weather and heat waves in Greater London, UK. Occupational Environmental Med. 2004;61(11):893-8. Hajat, Shakoor, Madeline O'Connor, and Tom Kosatsky. "Health effects of hot weather: from awareness of risk factors to effective health protection." The Lancet 375.9717 (2010): 856-863. Gill, G. V., O. O. Famuyiwa, M. Rolfe, and L. K. Archibald. "Serious hand sepsis and diabetes mellitus: specific tropical syndrome with western counterparts." Diabetic medicine 15, no. 10 (1998): 858-862. Bauduceau B, et al. [Diabetes and travel]. Medecinetropicale: revue du Corps de sante colonial 57.4 Bis (1996): 446-448. Gautret, Philippe, Georges Soula, Jean Delmont, Philippe Parola, and Philippe Brouqui. Common health hazards in French pilgrims during the Hajj of 2007: a prospective cohort study. 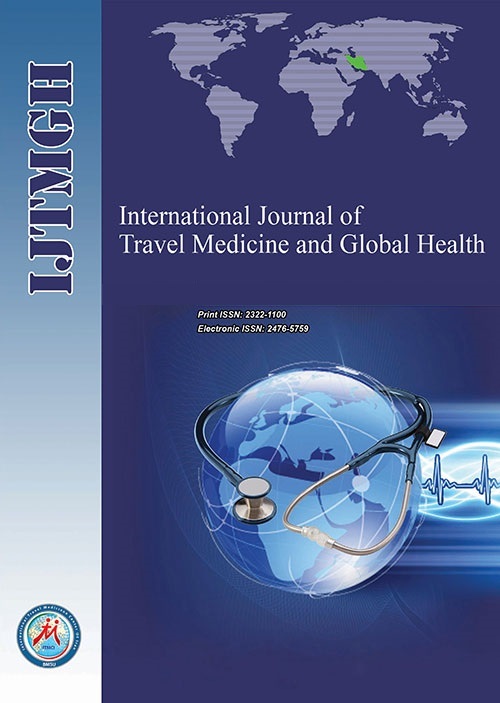 Journal of travel medicine. 2009;16(6):377-381. Sane T, Koivisto VA, Nikkanen P, Pelkonen R. Adjustment of insulin doses of diabetic patients during long distance flights. BMJ 1990;301(6749):421-22. Bia FJ, Barry M. Special health considerations for travelers." The Medical clinics of North America. 1992;76(6):1295-312. European Diabetes Policy Group, 1999.A desktop guide to type 2 diabetes mellitus. Diabetic Medicine. 1999;16(9):716-30. Cox Daniel J, Gonder-Frederick L, Clarke W. Driving decrements in type I diabetes during moderate hypoglycemia." Diabetes 42.2 (1993): 239-243. American Diabetes Association. Diabetes and driving. Diabetes Care. 2012; 35(Supplement 1):S81-S6. Graveling AJ, Warren RE, Frier BM. Hypoglycaemia and driving in people with insulin‐treated diabetes: adherence to recommendations for avoidance. Diabetic medicine. 2004;21(9):1014-19. Millett C, Agrawal S, Sullivan R, Vaz M, Kurpad A, Bharathi A, et al. Associations between active travel to work and overweight, hypertension, and diabetes in India: a cross-sectional study. PLoS medicine. 2013;10(6). Strauss, Kaitlin, Charles MacLean, Austin Troy, and Benjamin Littenberg.Driving distance as a barrier to glycemic control in diabetes. Journal of general internal medicine. 2006;21(4):378-80. Leggat P, Madeleine N. Dietary advice for airline travel. J Travel Med. 1997;4(1):14-16. Jekal Y, Lee MK, Kim ES, Park JH, Lee HJ, Han SJ, et al. Effects of walking and physical activity on glucose regulation among type 2 diabetics. Korean Diabetes J. 2008;32(1):60-7. Hu FB, Sigal RJ, Rich-Edwards JW, Colditz GA, Solomon CG, Willett WC, et al. Walking compared with vigorous physical activity and risk of type 2 diabetes in women: a prospective study. JAMA. 1999;282(15):1433-9. Du P, Herbert L, Robert S. Textbook of travel medicine and health. Textbook of travel medicine and health Ed. 2, 2001. American Diabetes Association. American Diabetes Association complete guide to diabetes: the ultimate home diabetes reference. McGraw-Hill/Contemporary, 1999. Royal College of Physicians of London, and National Collaborating Centre for Chronic Conditions (Great Britain). Type 1 diabetes in adults: national clinical guideline for diagnosis and management in primary and secondary care. Royal College of Physicians, 2004.